Tricep dips or ‘just dips’ as they are popularly called, are exercises to tone and contour the muscles in the arms. Dips are body weight, compound exercises. They assist in not only toning but also building mass to get stronger and healthier arms. Mixing up various styles of dips help in increasing triceps endurance over time. They assist in increasing triceps strength while simultaneously working on the pectoral (chest), anterior deltoids (front of shoulders), and rhomboid (core and abdominal) groups of muscles. Dips are a part of the calisthenics body-weight workouts that are all the rage right now. 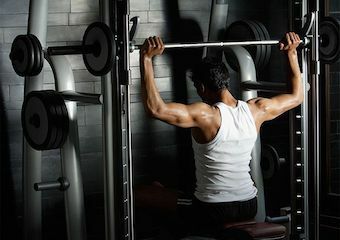 Most bodybuilders and fitness enthusiasts believe that utilizing the weight of the body to increase workout resistance is a fantastic way to get fit. 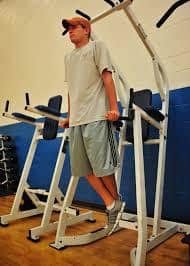 Doing physical training without external weights helps increase muscle mass, strength, stamina, and endurance, and elevates muscular functionality. If you do not have access to parallel bars or dip stations, you can just pull two chairs together, and place them shoulder-length apart from each other. Ensure they do not move, and you’re good to go. Before you start working out, please ensure your body is well warmed up, and you do not have any underlying chest pains or muscular aches in your body. If you are feeling breathless or are experiencing dizziness or nausea, please do not attempt any exercises. If at any time, while doing dips or any other forms of workouts, you experience any discomfort, we would advise you to contact your doctor immediately or get to the nearest medical center for attention. Let us look at some ways to gradually start doing dips. 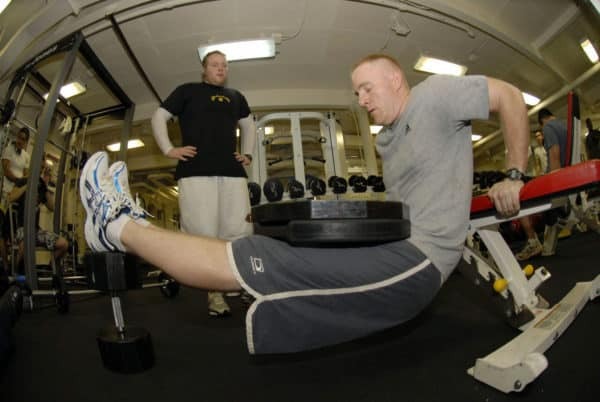 Bench knee dips are a fabulous way to start building your triceps muscles. To do bench knee dips, get in front of an elevated platform, bench or levelled sit up bench and place your hands behind your back palm-down. Bend your legs in front of you and put your feet firmly on the ground. Once in this position, push your shoulders back and keep your torso straight. Now lower yourself gently till your elbows are at a 90-degree angle to your body. Push back all the way, lifting yourself to a comfortable height, and gently lower your body weight back to the original 90-degree position. Repeat these ten times to start with, and build up to twenty-five times, in two or three sets with thirty-second intervals. As the name suggests, straight leg dips are done keeping your legs stretched out in front of you. Assume the same 90-degrees position as with bench dips, and instead of bending your knees, balance your body weight on your heels while keeping your legs outstretched. With your extended legs, pull your core in tighter by flexing your abdominal muscles, and start your dips in repetitions. As with bench dips, gradually build up resistance, and increase the dip-sets and time intervals to gain momentum with the straight leg dips. Repeat the dips and build up to thirty dips with controlled breathing exercises to build strength and endurance in your upper arms. Elevated bench dips are quite similar in pose and form to straight leg dips except in the posture. To do these dips, you need to elevate your legs on a platform that is the same height as the platform for your hands. Two same chairs or a set of p-bars would do the trick. Put your legs on the p-bars or on the chair opposite you with your legs stretched straight. Balance your body weight on the palms of your hands, and gradually start the dips. If you plan to use a bench with an elevation, position your elbows at a perfect 90-degree angle before you start the elevated bench dips. These are the motherlode of dips! To do weighted dips, get between a dip bar or a set of p-bars and grip the bars at your sides firmly. Tighten your abdominal muscles, push back your shoulders, straighten your chest and lean forward slightly. As you gently lower your body downwards, you can either cross your legs or keep them outstretched in front of you and at an angle to the floor. Try to get a 90-degree angle with your elbows, but if it doesn’t happen immediately, its perfectly natural and will come with regular practice. Try to raise and lower yourself as far as possible without harming the muscles in your shoulders, back, or torso. Once you have mastered the full dips, you can mix and match your dips to get the maximum output from your triceps.